Together with members of the youth organization Collegiate Association for the Research of Principles (CARP), which is affiliated with UPF, and volunteers of the charity foundation In the Name of Peace, the pageant participants visited a number of houses of worship in Moscow. The program “Steps toward a Conflict-Free World” was very rich and diverse. Every day the participants learned something new about the history and culture of different nations. 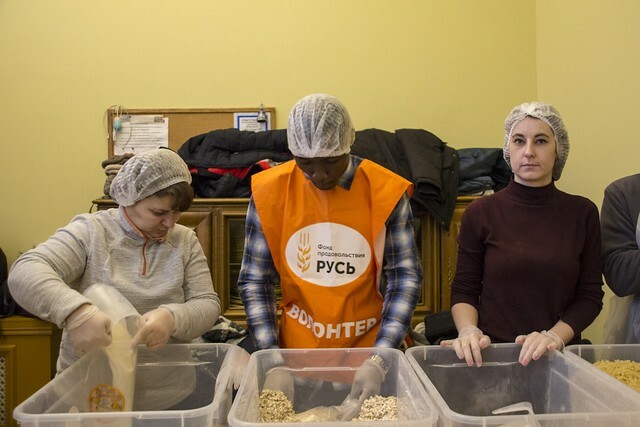 The program began on February 3, when the group visited the Martha and Mary Convent, which is connected to the Russian Orthodox Church, and participated in a volunteer project called Traditional Lunch. On February 4, the group visited the Jewish Museum and Tolerance Center. On February 5, the participants visited the Moscow Cathedral Mosque. On February 7, the group visited the Armenian Cathedral of the Lord’s Transfiguration. Martynas Olyaka, a CARP volunteer, wrote: “I have always been interested in different religions, their distinctive features, and also how they are similar to each other. “It was interesting to listen to a lecture on the history of Christianity in Armenia, as well as to learn the basic tenets of their faith. I liked that, on the whole, Armenian Christians traditionally respect other religions. I would also like to note the beauty of the museum itself on the territory of the temple complex; the museum houses rare exhibits describing the history and culture of Armenia. The World Interfaith Harmony Week program ended on February 10 with a roundtable on “The Role of Youth in Building a Conflict-Free World,” in which students in the cities of St. Petersburg, Ufa and Minsk also took part by Internet. The participants of the roundtable expressed different opinions about the significance of religion in the world, what it promotes, and what it gives to people. One of the conclusions was: "Religion teaches peace and unites people, friends, and family." The roundtable was attended by experts who offered their understanding of the role of religion in human life and in the world. These were the Buddhist priest Sanal Sanjay and Mufazal Hossain Rumon, the coordinator of International Volunteer Programs of the Religious Youth Service (RYS), a UPF initiative. Elena Knyazeva, director of the Mister and Miss University pageant, gave a presentation about volunteer projects that are planned for the current year.